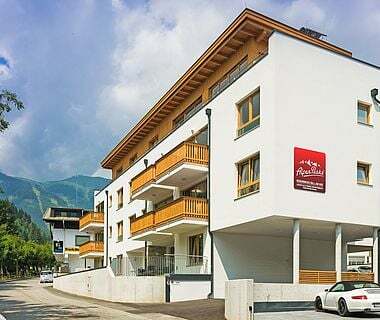 The picturesque mountain village in the Salzburger Land region has everything you could possibly want from a great holiday: top ski resorts, varied hiking trails, great attractions – and, of course, perfectly equipped AlpenParks Apartments! 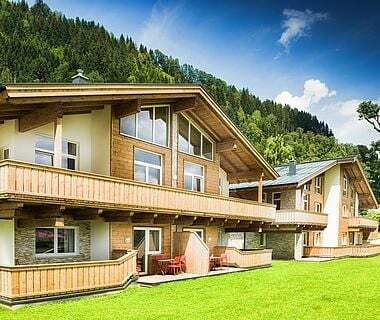 Lots of action for the whole family, unforgettable views of the Steinernes Meer mountains and great experiences in a splendid landscape – that’s holidays in Maria Alm for you! Did you know? Maria Alm is also a place of pilgrimage! The local pilgrimage church is one the most splendid Marian sanctuaries of the whole Pinzgau region. With its 84-metre late Gothic spire, the church is a distinctive landmark of the Hochkönig mountain range. If you would like to know more about the breathtaking world of the Hohe Tauern National Park, you should definitely visit the National Park Centre . Changing experience exhibitions offer fascinating insights into the region’s nature and history – only a 50-minute drive from Maria Alm! You always wanted to feel like a knight for one day? Then Hohenwerfen Castle is just the place for you! Apart from the castle itself, the on-site falconry is a true highlight for explorers of all ages. And if you’re feeling hungry, there’s a very special experience waiting for you. After all, there’s no need for table manners during a traditional knight’s banquet! At Ferleiten Wildlife Park, you can get close to more than 200 local animals. The 15-hectare premises are home to alpacas, lynxes, marmots, donkeys, snowy owls and more – a paradise for animal lovers of all ages! Also don’t miss the on-site petting zoo for some extra cuddly experiences! The Krimml waterfalls are a splendid example of the powers of nature. With a height of 385 metres, Austria’s highest waterfalls are a natural spectacle. Also don’t miss the waterfall centre with its underwater experience world, panoramic road and WasserWunderBar. Head to the water world house for an interactive water cinema experience, or have fun at the outdoor aquapark. The local mining tradition goes back about 5,000 years. If you feel like a short trip to the past, you can get a first-hand experience of how deep-mining was done many centuries ago at Mühlbach’s mining museum. Enjoy a guided tour and railroad ride into the mines – an unforgettable holiday experience! As soon as temperatures are rising and summer’s around the corner, it’s time for some great outdoor activities. Fortunately, Maria Alm offers plenty of opportunities! On Natrun adventure mountain, you can find Austria’s first forest slide park. Five different slides with a total length of 200 metres offer thrills and spills for the whole family – topped off with great panoramic views! The best thing about it: use of the adventure park is free! Maria Alm and the Hochkönig are a true hiker’s paradise. The region is criss-crossed by 340 kilometres of signposted hiking trails, some of them right at the doorstep of your AlpenParks Residence. The Hochkönig mountain range also offers great opportunities for herbal hikes of all difficulty levels. Climbing fans will love the challenging tours of Maria Alm. After all, most of the region’s best vie ferrate are only suitable for advanced or expert climbers! 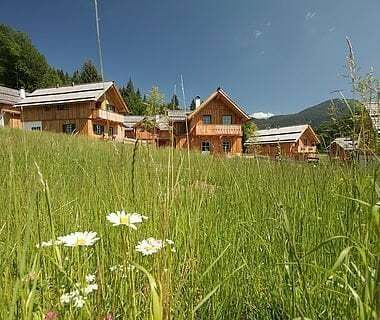 250 kilometres of mountain biking trails and the close proximity to Leogang Bike Park make Maria Alm a great destination for cycling holidays. Relaxed cycling trails, thrilling downhill stretches and challenging mountain routes are all waiting to be discovered by passionate cyclists. Our tip for experienced riders: the mountain bike tour to the Statzerhaus on the Hundstein . With a duration of six to seven hours, the trail is only suitable for fit and experienced riders. Several mountain huts along the way offer perfect opportunities for relaxed cycling breaks. If you can’t concentrate on your game at Urslautal Golf Club , that’s probably because of the breathtaking landscape distracting you! Swimming at the Sommerstein Adventure swimming pool in Maria Alm, rafting, canyoning or boat excursions on Lake Zell – the Hochkönig region is a paradise for water lovers. Are you up for a jump from the diving platform at the public beach of Lake Zell? 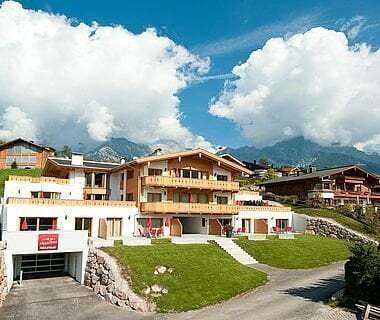 The forest high-rope course of Natrun is only a stone’s throw from the local AlpenParks apartments. It boasts tours for all difficulty levels as well as guided tours – a highlight for all adrenaline junkies and fans of panoramic views! If you would like to try your hand at slacklining, you can do so at LIVINGROOM Slacklinepark. Will you be able to keep your balance and make it all the way to the end of the line? A fun challenge for guests of all ages! Winter offers lots of relaxing as well as action-fuelled highlights. The region is particularly popular with skiers, which is no surprise thanks to the excellent Mühlbach – Dienten – Maria Alm ski region! Before winter touches down on the mountains and valleys of Austria, autumn brings lots of traditional festivities to the Salzburger Land region. Don’t miss the “farmers’ autumn” celebrations with local delicacies, fascinating performances, great music and interesting arts and crafts courses. 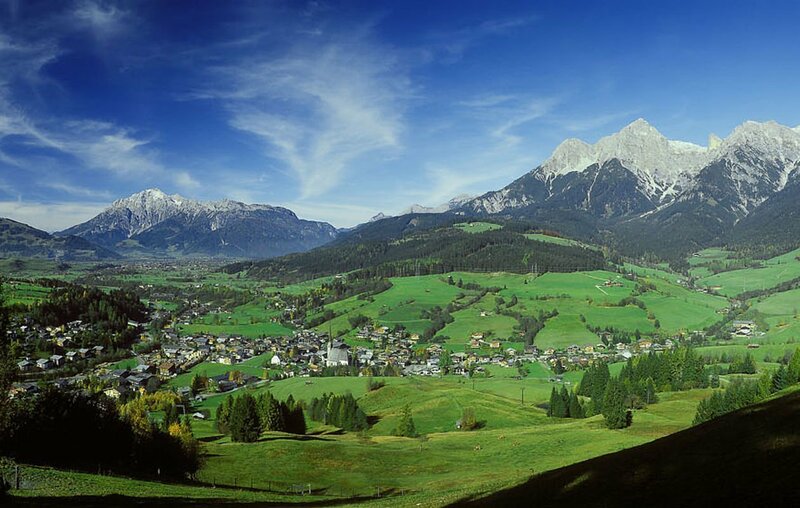 The traditional events take place every year between August and October in the entire Hochkönig region. As soon as the landscape is covered by a white blanket, winter sports athletes hit the region’s 120 kilometres of slopes. There’s a wide choice of runs for all difficulty levels, from families to professional carvers and leisure skiers. Powder fans also find a real paradise at Mühlbach - Dienten - Maria Alm. Have you tried the “King’s Tour”? No? Then it’s about time! If you would like to explore Maria Alm in a more relaxed way, a ski tour might be just the thing for you. 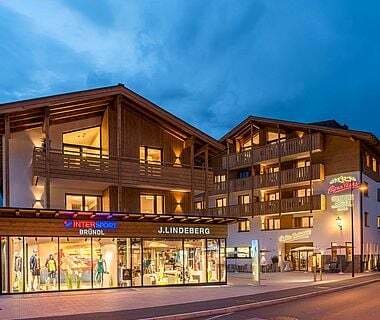 There are plenty of great opportunities ranging from twilight tours on flood-lit slopes to guided ski tours to the Hundstein and ski mountaineering trails off the beaten track. Fans of cross-country skiing will love the region’s 30 kilometres of perfectly groomed runs starting right at the doorstep of your apartment. Snow-shoes allow you to walk on the deep snow, preventing you from sinking in. The experienced hiking guides of AlpenParks Hotels & Residences are happy to share the best spots of wintry Maria Alm with you! 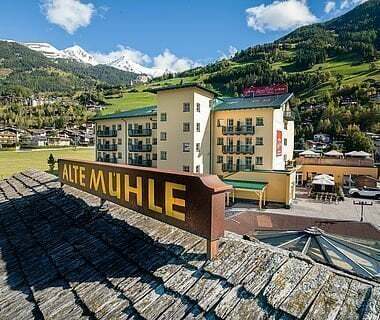 Enjoy an unforgettable stay at one of our two local AlpenParks Hotels & Residences. 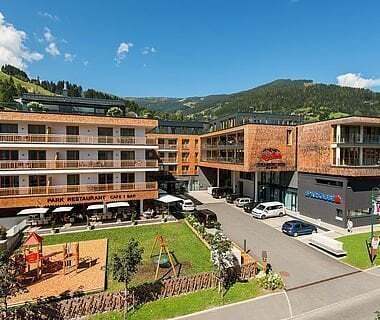 Hotel Maria Alm is only 300 metres from the cable car station and boasts rooms flooded with sunlight. 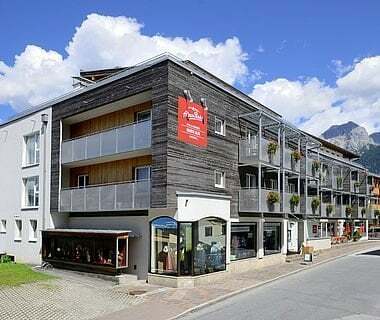 The local AlpenParks Apartments are also just a few minutes from the ski resort’s valley station. If you think our apartments aren’t stylish, think again! Our holiday apartments are full of style and comfort and rich in detail. After all, our team wants to create an atmosphere where it’s easy for families and groups to feel right at home! Enjoy one-of-a-kind holiday experiences at AlpenParks Hotels & Residences Maria Alm!